Working on finding patterns and the flow of light reflected on water. I hate this and love it at the same time. Trying to do something I know nothing about is so uncomfortable and yet I love the discomfort! 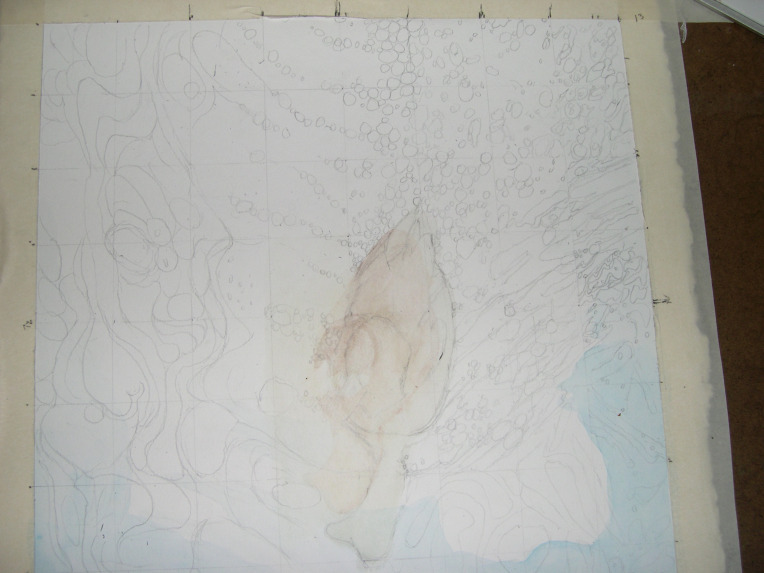 Drawing and painting water makes me feel dizzy and I procrastinate finishing projects that bring discomfort. That’s why I am working on water this winter. I feel really uncomfortable trying to figure out how to capture the image to paper. Blocked out the picture and added detail. Scrubbed off as much color as I could on the duck. First layer of color will be applied tonight. With watercolor I work from light to dark, I will probably use white gouache to help with highlights . I have no idea what I am doing with this picture and I love it. Penciled in highlights and shadows. Trying to find patterns and the flow.